Still Stumped for a Christmas Gift? 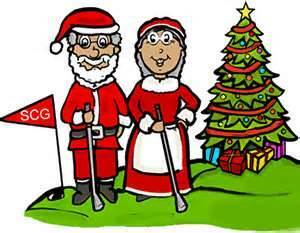 Amidst the remnants of hurricanes, disasters, shootings, and the bombardment of economic woes in this country, Santa’s visit to all the good boy golfers and good girl golfers is slipping closer each day. If, at this late date, you are still undecided as to what to surprise yours with – and are not able to buy Masters passes, tickets to the U.S. Open or send your ‘golf-road-warrior’ to the golf destination of his or her dreams, places like CordeValle, the Black Pearl at Pristine Bay in Roatan, St. Andrews, the Grand Del Mar in San Diego, Bandon Dunes in Oregon, or Reynolds Plantation in Georgia – you may wish to settle for a gift which will allow your golfer to play better. How about something your fave golfer has probably not considered before? It’s a great little offering called The SwingByte 3-D Golf Swing Analyzer. Its ‘byte’ may be painful – since the unadulterated truth often is – but in the end it could save some heartbreak. The SwingByte is a one-ounce device you attach to your club which records data about your swing. You can retrieve the results on an IPhone or Android via Bluetooth. This product will detail the truth about clubhead speed and acceleration, true swing plane from address to impact, angle of attack, loft and lie of your club at address as well as impact, swing tempo, and a full 360-degree view of your swing. As mentioned, the truth can hurt!! To improve one’s game, the first rule is to be brutally honest about where you currently stand with your swing and what needs to be fixed. Maybe you’d like to get this as your own little gift from Santa? Since January 1st is the perfect time for New Year’s resolutions, why not begin with the vow to never underclub your approach shots to the green? Most people don’t mean to, but they do. Why? They overestimate how far they hit the ball. With this gadget, you will know the undisputed truth….whether you want to or not. 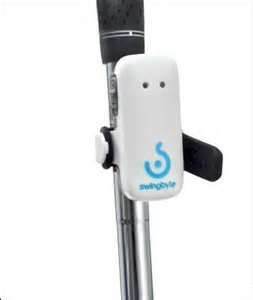 You can order The SwingByte for $149.00 at: www.swingbyte.com. Golf Digest Magazine named it one of the ’12 Coolest Items’ at the 2012 PGA Show. Or, you can go and buy (Yawn) more golf shirts, sweaters, vests, socks, golf balls, tees or golf towels; but speaking as a long-time golfer, please don’t…….we all already have a closet full of these items! Janina Parrott Jacobs is a multi-media consultant specializing in golf, business, music, nutrition, fitness and women’s issues. As a freelance writer, television host and producer, her writing appears in national international, regional, and local publications and her shows have aired regionally and locally. How Does Your Food Pantry Stack Up?